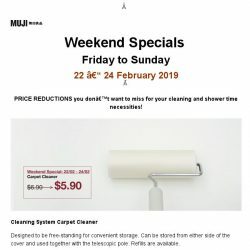 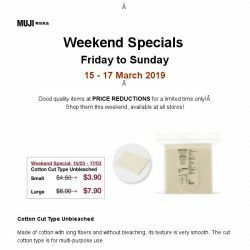 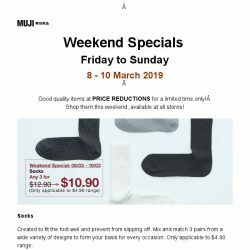 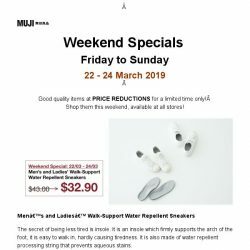 [Muji] MUJI | Don’t miss these weekend specials! 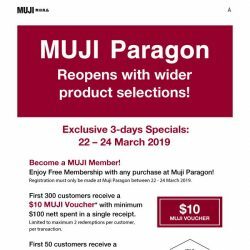 [Muji] MUJI Paragon Reopens with Wider Selections! 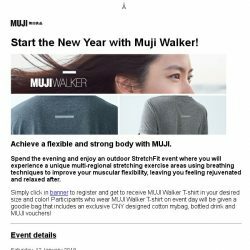 [Muji] MUJI invites you to Outdoor StretchFit event! 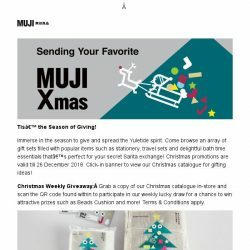 [Muji] Have a Merry Christmas at MUJI! 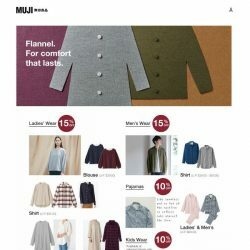 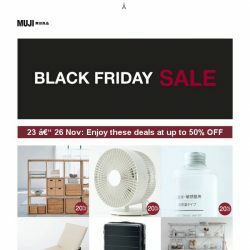 [Muji] MUJI: Enjoy up to 50% OFF this Black Friday! 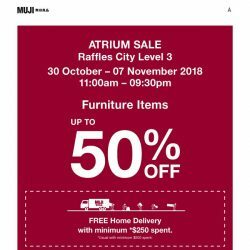 [Muji] MUJI Atrium Sale: Enjoy up to 50% Furniture Savings! 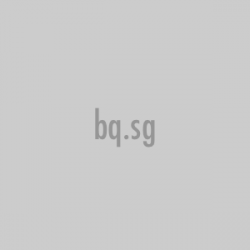 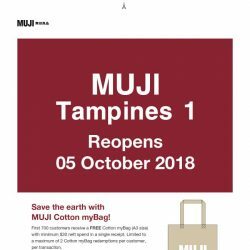 [Muji] 5 October: MUJI Tampines 1 Reopens at Twice its Original Size! 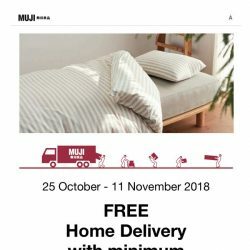 [Muji] MUJI Week ends this Sunday, 30 September! 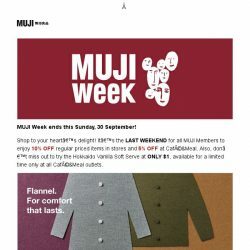 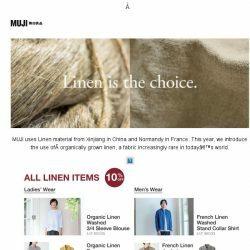 [Muji] MUJI Members’ Week: Enjoy Savings while you Shop & Dine! 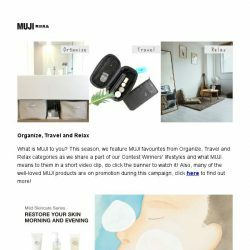 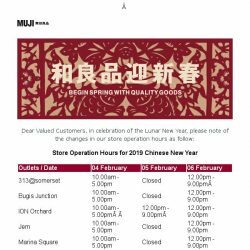 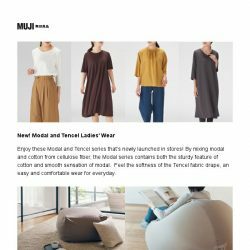 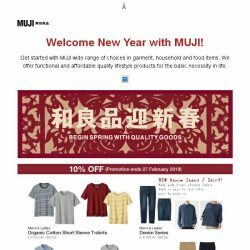 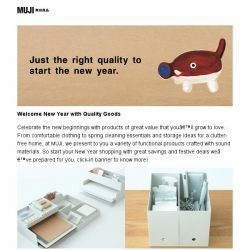 [Muji] New Launch, Great Deals and Happenings not to be missed! 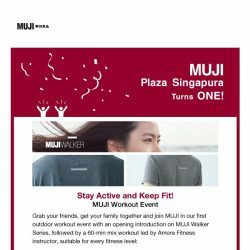 [Muji] Mark your weekends with MUJI exhibition guided tour and fun-filled workout event! 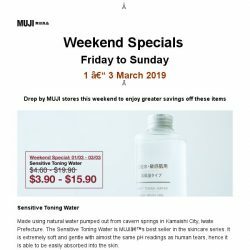 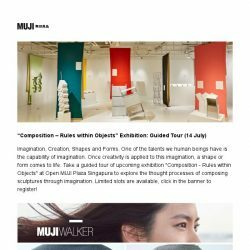 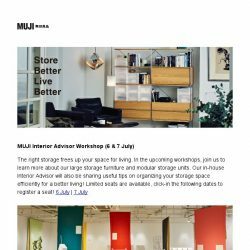 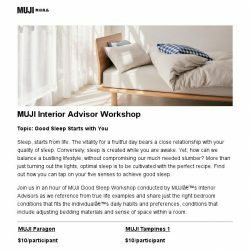 [Muji] Check out these happenings at MUJI!